Know your customer, or KYC, is the process of due diligence that Financial Services Institutions and regulated companies need to undertake around certain types of transactions. Unsurprisingly, the process involves confirming the true identity and intentions of that customer, making sure transactions conform to relevant laws and legislation. Institutions are bound to report all suspicious transactions to local authorities, with regulations and overseeing bodies varying from country to country. However, KYC is a complicated function. New regulatory requirements are being introduced to an already complex area, requiring the collation and analysis of more compliance data than before. A significant sub-set of the KYC regulations are dedicated to preventing money laundering – or Anti-money laundering (AML). The proceeds of crime can rarely be invested into legitimate institutions or funds without undergoing a process of obfuscation. This is when ‘dirty’ money is cleaned via a series of financial transactions to make it appear to have come from a legitimate source. AML legislation varies by jurisdiction and is often a patchwork of laws relating to terrorism, drugs or organized crime as well as anti-money laundering specifically. 94% of companies were collecting more data than 12 months previously, on average 86% more. 43% of respondents in the financial industries lacked the ability to translate data into actionable insight. Operational requirements – Many risk management and compliance teams work to turnaround times of minutes. Managing this within the context of a robust and thorough KYC process is difficult. 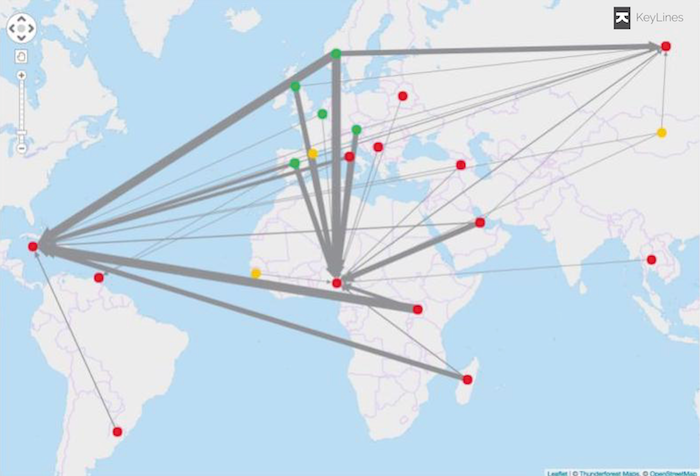 Meaningless reporting – many companies experience a debilitating disconnect between analysts or KYC agents and business managers. Restrictive IT environments – Many large financial institutions have complex IT environments and legacy software systems that are hard to work with. Data silos – data is stored in various places resulting in inconsistencies and errors. Customer data also needs to be verified against external sources. Many solutions have been touted for the KYC difficulties financial institutions face. Prime amongst these are dashboards. Exploded pie charts, static link diagrams and inexplicable funnels are bundled into Business Intelligence and CRM systems, aiming to provide a comprehensive data overview suitable for Analytics specialists and business managers alike. The reality is static and un-engaging snapshots of one particular silo that is difficult to verify or use for decision making. Data visualization should be fit for purpose, interactive and provide relevant context. You KYC software (and/or AML software) should provide a 360-degree understanding of your customers and their transactions. Your KYC agents need to see an overview as well as the specific details. Banks, insurance companies and other financial institutions have used our tools to help overcome the challenges that come with analyzing vast amounts of data. It can be easily integrated into existing KYC software and AML software packages. 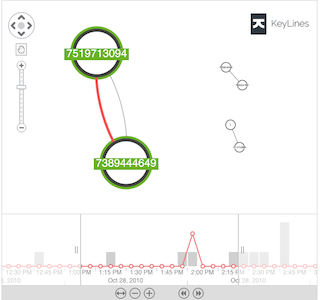 Using KeyLines, any types of connected data can be visualized in interactive and concise link analysis charts. Filters, layouts, analysis algorithms and data exploration / expansion can be utilized to provide a 360-degree contextual view of a transaction and customer. 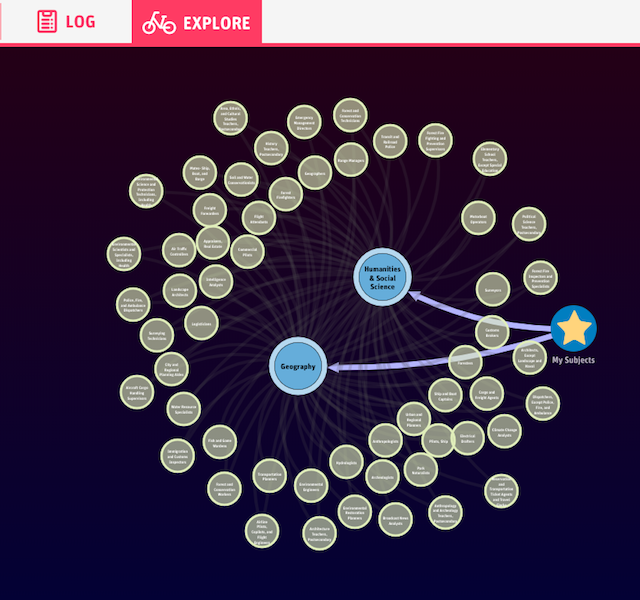 Fast – hundreds, or thousands, of entities can be visualized instantly. Interact with data to discover suspicious behavior and speed up your decision-making. Easy to use – end users don’t usually require specific training before they can be productive with our software. Analytics specialists and business managers can get started and understand complex scenarios in minutes. Reporting capabilities means insight can be shared with ease. Compatible – KeyLines runs entirely in the web browser and is compatible with most legacy browsers. No specialist software needs to be installed and security is assured by your existing firewalls. 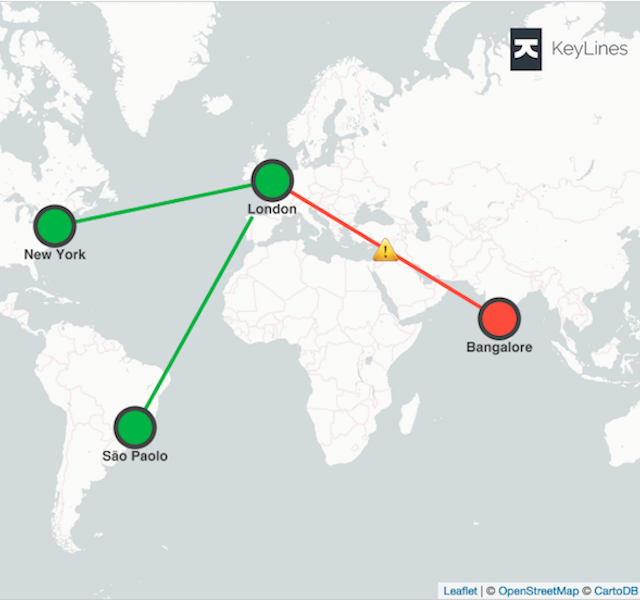 Comprehensive – KeyLines will visualize any data you pass it, from almost any source. Various data silos can be channeled into a single, simple to access view.